A full evaluation of the Great Exhibition of the North has been released to the public in celebration of its success. The evaluation has been produced to understand the impact of the Exhibition in relation to its original ambitions. The report covers the 80-day exhibition content that was presented in 30 venues and outdoor spaces across NewcastleGateshead. It also highlights achievements across all aspects of the Exhibition including: the large-scale opening and closing events, the schools’ program, business summit and business support activities, the Family Expo, volunteer progam and the “Inspired by Programme” which saw events and activities brought to life across the wider North. Results show that the Exhibition exceeded its targets which were based around three key themes: audience, pride and perceptions. • Audience: Smashing its target of three million, the Exhibition attracted visits of 3.8 million across 300 events, performances, installations and activities spanning 80 days. • Pride: 85% of local residents said they felt proud to have the Exhibition in NewcastleGateshead. • Perceptions: 84% of visitors said they would recommend NewcastleGateshead to friends and relatives, and 90% felt that the Exhibition had changed perceptions. Sarah Stewart, Chief Executive of the Exhibition’s lead delivery partner, NewcastleGateshead Initiative, said: “Seeing the final evaluation has provided us with much to celebrate and we’re delighted with the results. “It’s been an incredibly exciting project to work on and we have all been overwhelmed by the generosity of our partners, volunteers and colleagues who have shown immense passion and dedication throughout. “And seeing ‘Inspired By’ events such as the eight-week ‘Great Northumberland’ project take off has shown just how far-reaching the programme has been. Michael Ellis, Minister for Arts, Heritage and Tourism said: “The Great Exhibition of the North was a real success, with almost four million visitors and hundreds of exciting events held across the whole North. 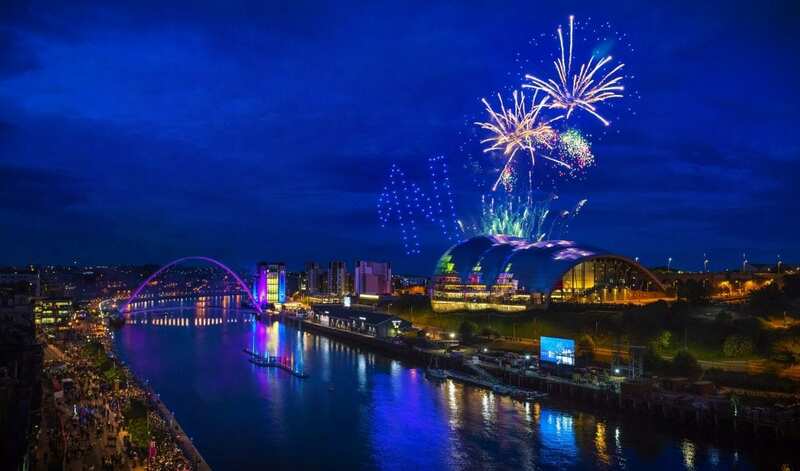 “As well as the obvious tourism boost, these figures highlight real pride felt by the people of Newcastle-Gateshead at hosting the event. Cllr Kim McGuinness, cabinet member for culture, sport and public health, Newcastle City Council said: “There was a genuine positive feeling in the city this summer, and that is reflected in this report. While the core Exhibition is now over, a strong legacy still exists, with many new partnerships formed, school resources still digitally available and a significant volunteer programme set to evolve. Additionally, funding grants and research partnership opportunities are open to SMEs in the North East through the GX Project – a strand of the Exhibition designed to unlock innovation in the region. The question of online security becomes valid and topical when a vacation season comes because of being unprotected on the public networks..
Labor unions shut down all public transport in the Greek capital.